98% of all Canadian businesses and employ 8 million hard working Canadians. -Decreasing Employment Insurance premiums from $1.66 to $1.62 per $100 of insurable earnings. Ontario’s Government for the People continues to deliver on its promise to get people moving faster by adding regular weekday GO train service to Niagara Falls and St. Catharines for the first time. Today, Jeff Yurek, Minister of Transportation, Kinga Surma, Parliamentary Assistant to the Minister of Transportation, Sam Oosterhoff, MPP Niagara West, along with Leslie Woo, Chief Planning and Development Officer, Metrolinx, visited the rail station in St. Catharines to announce that the government will introduce long-asked-for weekday GO train service to Niagara Falls and St. Catharines on the Lakeshore West line. The City of Mississauga has been awarded the International Organization for Standardization 37120 (ISO 37120) platinum-level certification from the World Council on City Data (WCCD) – a global leader in standardized city data. Mississauga is one of ten Canadian municipalities to receive the certification. The City joins more than 60 municipalities that are part of the WCCD global network. Mississauga reported 96 out of the 100 indicators, earning platinum-level ranking. Prince’s Trust Canada, a national charity established by HRH The Prince of Wales, and Marriott International, a leading global lodging company with more than 6,700 properties across 129 countries and territories, announced a new Canada wide partnership that will support youth employment and grow the hospitality-talent pool nationally. Prince’s Trust Canada works with innovative and dedicated employer partners like Marriott International to link young people facing barriers to employment with meaningful employment opportunities. Prior to the partnership announcement, the two organizations ran a successful pilot project in Toronto. The new Get Into Hospitality program saw 12 under-employed young people in Toronto get two weeks of rigorous classroom training and two weeks of fully paid job shadowing training at Toronto area hotels. The young people finished the program with new skills, improved confidence and jobs. Marriott International committed to hiring at least 50% of the program participants. In addition to helping young people struggling to find employment, the hospitality-focused curriculum and paid workplace experience program supports the expanding travel and tourism industry in Canada by preparing young Canadians for careers in the industry. The Prime Minister, Justin Trudeau, has announced an investment of up to nearly $230 million for the AI-Powered Supply Chains Supercluster (SCALE.AI) based in Quebec. The investment is expected to create more than 16,000 jobs and add more than $16 billion to our economy over 10 years. The funding will be matched dollar-for-dollar by private sector partners. The government of Québec also announced an investment of $60 million to support the initiative. SCALE.AI brings the retail, manufacturing, transportation, infrastructure, and information and communications technology sectors together to build intelligent supply chains through artificial intelligence and robotics. This supercluster is helping Canadian small and medium-sized businesses take advantage of new opportunities, and positioning Canada as a global export leader. FIFA and the Local Organising Committee (LOC) have announced the signing of EDF – a global leader in low-carbon energies – as a National Supporter of the FIFA Women’s World Cup 2019, taking place in nine Host Cities all over France next summer, from 7 June to 7 July. Already involved in the promotion of women’s football, EDF is strengthening its commitment by supporting the biggest single-sport women’s event in the world. The group becomes the fifth National Supporter for the 2019 edition of the FIFA Women’s World Cup™, a festival of football and showcase for the rapid global evolution of women’s sports. Today, Brampton Transit received the Service Excellence award at the Canadian Urban Transit Association (CUTA) annual conference in Toronto. CUTA hosts urban planners and transit professionals from across Canada at its yearly conference, and hands out corporate awards in categories such as Innovation and Environment. The Service Excellence award was specifically created this year to recognize the unique success and unprecedented ridership growth on Brampton Transit’s Züm Bus Rapid Transit service (BRT). Pronounced “zoom,” Brampton Transit’s BRT service was designed from the ground up to provide residents with an efficient, high frequency, comfortable service. Züm was launched in fall 2010, and now has five routes that service major corridors across the city, making local and regional connections. In September 2018, the Züm Bovaird service was extended to Malton GO Station – another key regional connection. The success of the BRT service, and across all of Brampton Transit’s lines, is unmatched in Canada. Since 2009, Brampton’s population has grown by 22 per cent, while Brampton Transit’s ridership has increased by over 120 per cent. Ridership continues to grow in 2018. As of August 2018, ridership has increased by 17 per cent compared to 2017. Manchester, further expanding the airline’s connectivity in the United Kingdom (UK). This new service is the first non-stop service connecting India, via its economic capital with Manchester, the 3rd largest city in the UK. With the launch of its 5th non-stop service to/from the UK, Jet Airways is now the largest carrier between Mumbai and the UK and Manchester, the 21st international destination on the carrier’s network. ANOKHI MEDIA, North America’s leading South Asian entertainment & lifestyle media and events company is very pleased to announce the third group of personalities that will be attending the 15th anniversary event on November 3rd, 2018 at the Sheraton Centre Toronto, a milestone being marked by the EMPOWER ME Campaign in support of the not-for-profit organization, Free-Them. Full details can be seen at the event’s official website: www.AnokhiAwards.com. In commemoration of ANOKHI MEDIA’s 15 year milestone, the company is thrilled to announce the presentation of a Lifetime Achievement Award for the very first time in its history. “The recipient is a decorated Canadian figure who has exemplified true global leadership as well as shown by example, how to honour one’s Country and one’s culture at the highest levels, while continuing to serve with humility“, said ANOKHI MEDIA’s CEO, Raj Girn. The Hon. 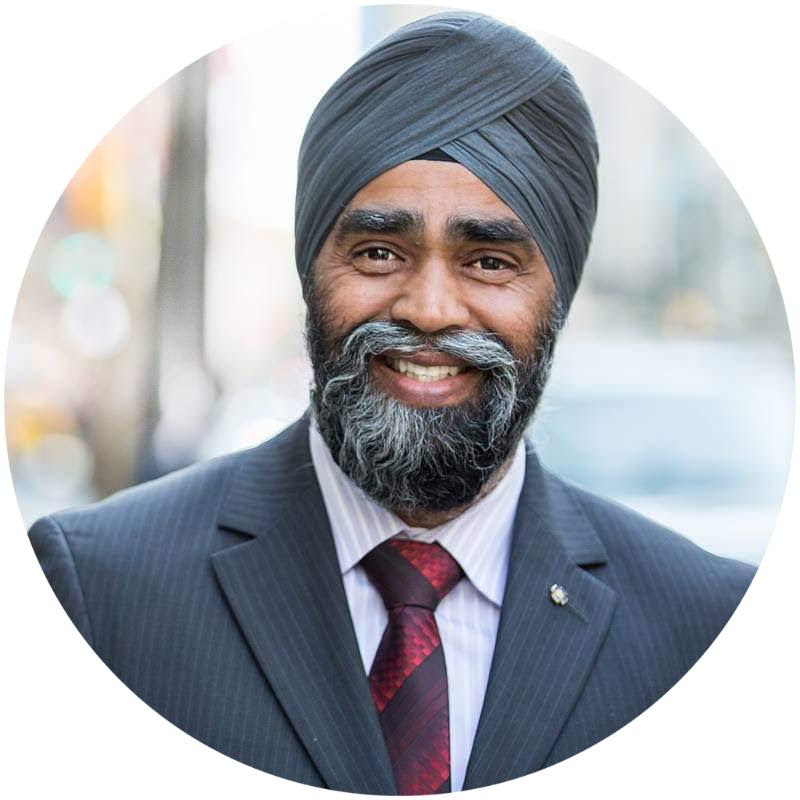 Harjit Singh Sajjan, Canada’s Minister of National Defence will be presented with ‘The ANOKHI POWER Award 2018’s Lifetime Achievement Award, Presented For Global Empowerment In The Advancement Of Leadership’. The award is brought to you by Canada’s most awarded air cargo airline, Cargojet.